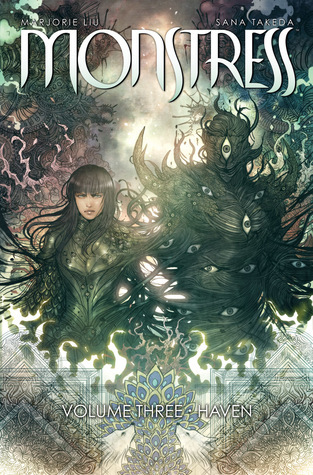 Her newest work is MONSTRESS, an original, creator-owned comic book series with Japanese artist (and X-23 collaborator) Sana Takeda. Published by Image in Fall 2015, MONSTRESS is set in an alternate, matriarchal 1920s Asia and follows a girls struggle to survive the trauma of war. With a cast of girls and monsters and set against a richly imagined aesthetic of art deco-inflected steam punk, MONSTRESS #1 debuted to critical praise. The Hollywood Reporter remarked that the longer than typical first issue was world-building on a scale rare in mainstream comics. Ms. Liu is also the author of more than 19 novels, most notably the urban fantasy series, Hunter Kiss, and the paranormal romance series, Dirk & Steele. Her novels have also been bestsellers on USA Today, which described Liu as imaginative as she is prolific. Her critically praised fiction has twice received the Romantic Times Reviewers Choice Award, for THE MORTAL BONE (Hunter Kiss #6), and TIGER EYE (Dirk & Steele #1). TIGER EYE was the basis for a bestselling paranormal romance video game called Tiger Eye: Curse of the Riddle Box. Ms. Liu was born in Philadelphia, and has lived in numerous cities in the Midwest and Beijing. Prior to writing full-time, she was a lawyer. She currently resides in Boston.